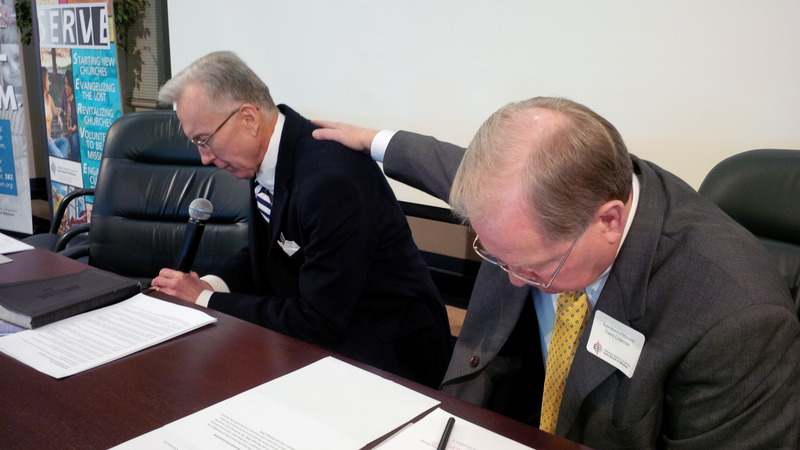 Alabama Baptist State Board of Missions Executive Director Rick Lance (left) prays about state marriage ruling alongside state convention president Travis Coleman Feb. 6. To read the full story, go to www.thealabamabaptist.org. To view Lance and Coleman’s joint statement, go to www.ricklance.com. This entry was posted in Home and tagged Alabama Baptist Convention, Alabama Baptist State Board of Missions, Rick Lance, Southern Baptist. Bookmark the permalink.